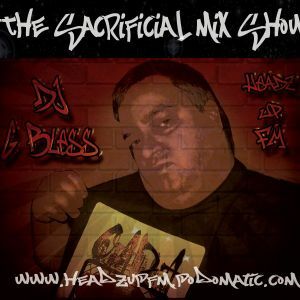 DJ G Bless , PRO, BIZZLE, Reconcile, Sauce Remix and more. Our Mission at HeadzUp FM is simply to bring our listening audience, the planet Earth only the finest in Gospel /Holy Hip-Hop, underground (Unsigned artists), old school and Urban Gospel R&B in the mix 24/7. We will not yield to negative outside influences such as radio payola. We are truly down for our listeners. We offer the hip-hop & urban R&B fan a positive Christian alternative. We do this to the glory of God and to help fulfill the Great Commission given to us by His Son Jesus just before he returned up to Heaven, “Therefore go and make disciples of all nations, baptizing them in the name of the Father and of the Son and of the Holy Spirit, and teaching them to obey everything I have commanded you. And surely I am with you always, to the very end of the age." Matthew 28:19, 20 (NIV) No need to cover the kids ears. Best of all NO wackness guaranteed. Fresh mix as always, Bless!!! Thanks for laying it down and keeping it kingdom!